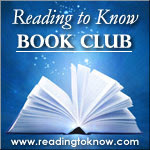 The June selection for the Reading to Know book club is A Girl of the Limberlost , by Gene Stratton Porter. 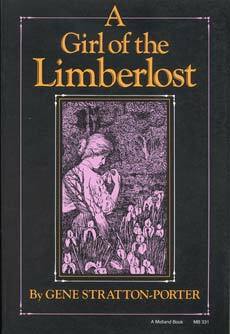 A Girl of the Limberlost by Gene Stratton Porter was one of those books that had been on my shelves for years. It was on all the must-read book lists. A woman (http://blog.carolejoyseid.com.s126415.gridserver.com/) who’s homeschool lectures I had enjoyed multiple times commented repeatedly that this was her favorite book of all time and if I hadn’t read it, then I had missed out on a masterpiece of literature. So, when Carrie asked me what I wanted to pick for my month hosting the Reading to Know book club this was my pick. Finally! I was going to pick this up from my shelves and check it off the list. I didn’t anticipate how much I would enjoy it and what a sweet sense of satisfaction there would be as I finished the last page. I will say – this book was a challenge to read for me. I’m no slouch at reading, but it took me some time to get into the rhythm of the dated style of writing. Still, absolutely worth it. I’ll share some information I recently received in an email about the author, Gene Stratton Porter, and then look forward to meeting you back here at the end of June to talk about it! Happy reading! Porter was born Geneva Grace Stratton but lived in an era when female authors were unacceptable. Geneva was raised on a farm in Indiana, the youngest of twelve children (born in 1863). She was raised in a very godly home. Her father told her mother that she should be allowed to run as free as a little lamb. She fell in love with nature as a child. All of her books, in addition to being the personification of character building, are richly steeped in the glories of creation. She grew up to be called the "Bird Woman of Indiana." Her love and interest in all the things of nature radically set her apart from the Victorian corseted women of her era. She was known to tramp through the swamps of Indiana, dressed in rubber wader with her camera and tripod to photograph unusual specimens. Her passion for birds and butterflies will be translated painlessly to anyone who is exposed to her beautiful writing. Quoted information came from the May/June 2012 issue of Carole Joy Seid’s newsletter. We hope you will join in with us this month! As a reminder, you do not have to read with us every month to participate in the book club. Pick and choose which reads you care to hop in and enjoy! The discussion for this month and link-up post for A Girl of the Limberlost will post on Friday, June 29th. I'm not reading Girl this time since I read it (& LOVED it) in the past couple of years, but this selection did inspire me to read Freckles! I'm really enjoying it, too! I just ordered the audiobook for both this and Freckles yesterday, before my $10 gift certificate for audible.com expired! I had read these way back as a child and loved them but don't remember much about them, so I'm looking forward to revisiting them. Oh goody. I have mixed thoughts on this book, but overall I think I like it. I'll hopefully read with you. And JUNE!?! Come on 2012, you are getting away from me! I got it free on my Kindle and it is next on my list! I kind of read the first few pages and I'm excited to get to it.